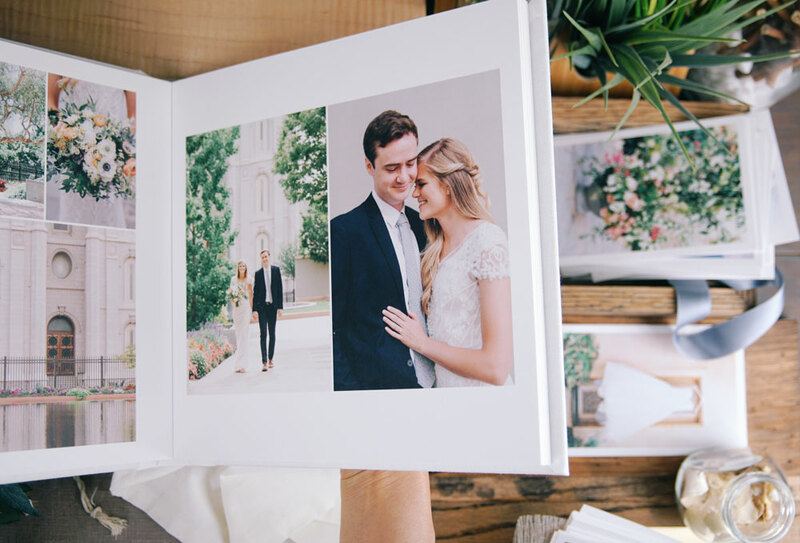 Onward and upward, we are in the final stretch of your wedding planning process, and soon you will have a beautiful, Heirloom quality album to look through and relive your wedding day. This album is hand crafted with love and intended to last a lifetime to pass down to your loved ones years down the road. If you’re here, you’ve received an album proof to look through! We have carefully chosen images from your day that tell the story and give a full picture of your big day. Now you get to decide on some finishing touches and finalize details. You receive an album credit when booking that includes a 10x10 or 12x12 album, with either 8 or 10 spreads. You are able to upgrade these things to build your dream album and invest in a product that is made to last a lifetime. Your album by default is a Fine Art Linen Album, pictured above. 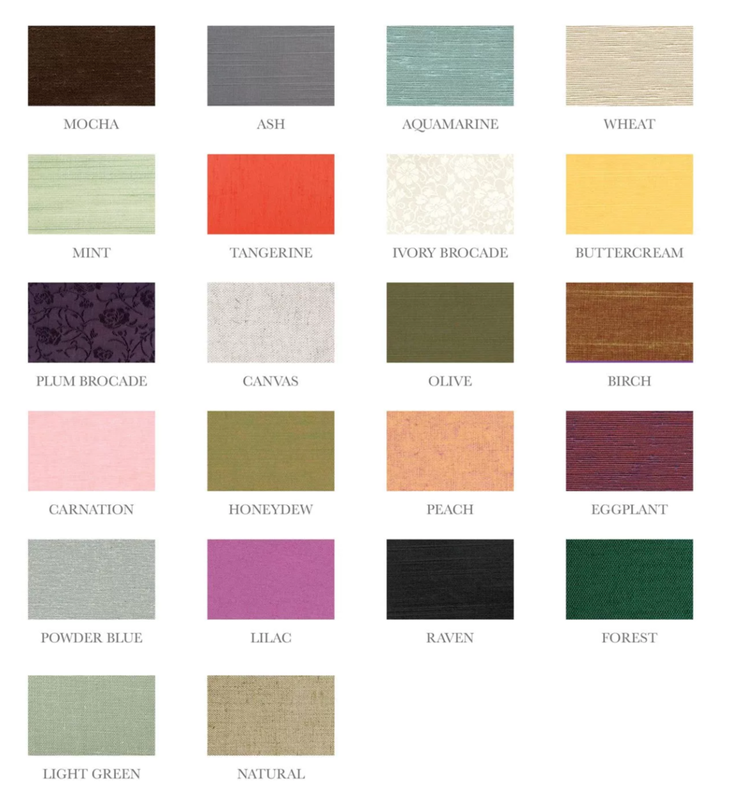 It comes in 23 colors, including White & Canvas (above), as well as 22 other beautiful colors. Some of these colors do have different varying levels of shine and depth to them, so if you have any questions please reach out. There is the additional option to upgrade to Genuine Handcrafted Leather. They are built in a journal style with a flip open cover, shown below in Saddle Dark Brown Leather, Saddle Tan Leather, and Saddle Charcoal Leather. Linen: Blank, Window, Imprint Leather: Blank, Imprint Text will be your Names imprinted on the cover. Where are we shipping it?